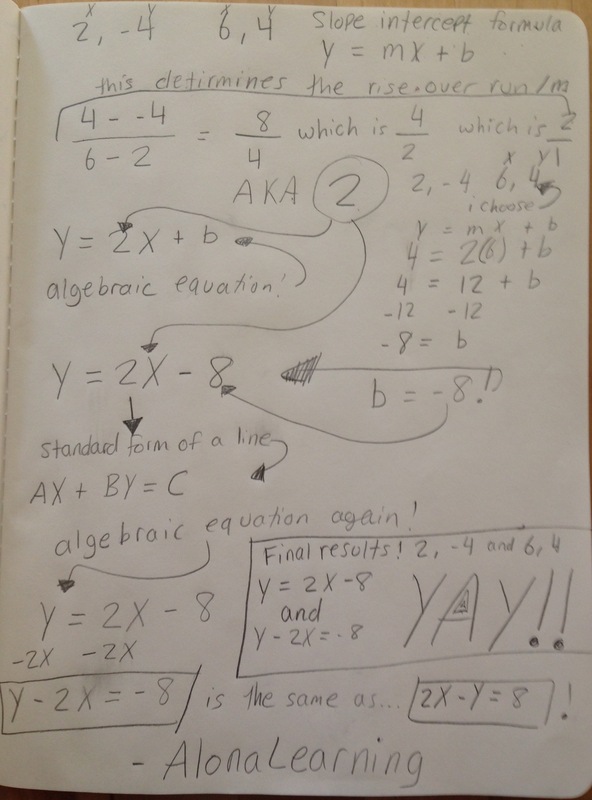 This week I learned a really cool algorithm in Algebra “Class” with @nancy and @gabe. 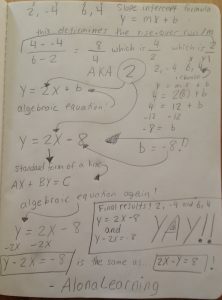 I can now figure out the slope intercept formula (y=mx+b) as well as the standard form of a line (AX + BY= C) from two points on a graph, without a graph. 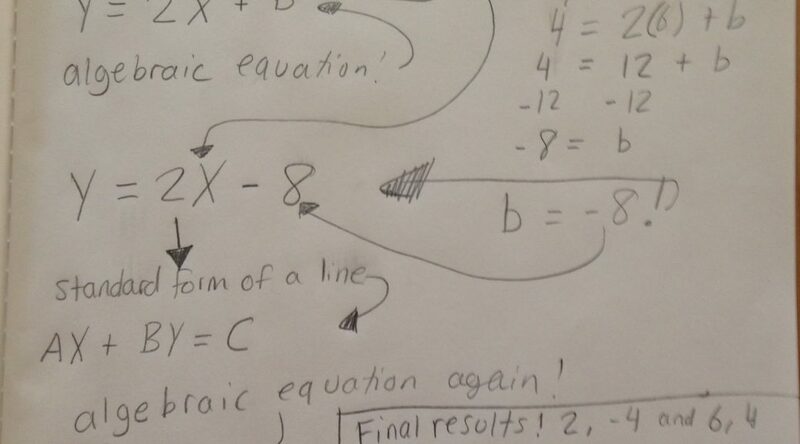 So… I wrote an entire long blog post explaining how to do everything in detail, and then I realized I made a huge mistake in the very beginning that affects the entire post. Now I’ve decided just to post a picture of how I did it, and if you really want to know, google it.